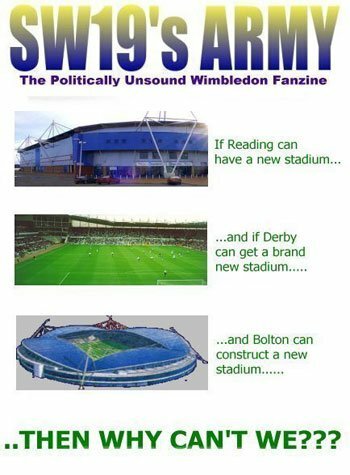 SW19's ARMY – Page 479 – The politically unsound AFC Wimbledon fanzine. Reserves drew with the Paedo reserves 2-2, after a spirited fightback. Quite a few there tonight, obviously too many Celsi, although the IQ levels were the same for this match as the other reserve games we play.